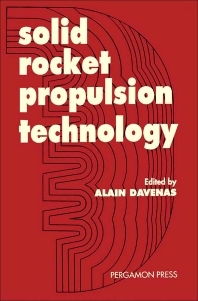 This book, a translation of the French title Technologie des Propergols Solides, offers otherwise unavailable information on the subject of solid propellants and their use in rocket propulsion. The fundamentals of rocket propulsion are developed in chapter one and detailed descriptions of concepts are covered in the following chapters. Specific design methods and the theoretical physics underlying them are presented, and finally the industrial production of the propellant itself is explained. The material used in the book has been collected from different countries, as the development of this field has occurred separately due to the classified nature of the subject. Thus the reader not only has an overall picture of solid rocket propulsion technology but a comprehensive view of its different developmental permutations worldwide. For engineers and scientists in the field of solid rocket propulsion, the military and government agencies. Section headings: Foreword, A. Davenas. Propulsion elements for solid rocket motors, R. Lucas. Solid propellant grain design, B. Zeller. Prediction and measurement of specific impulse, J-P. Bac. Solid propellant combustion and internal ballistics of motors, B. Gossant. Plume, signal interference and plume signature, G. Prigent. Structural analysis of propellant grains, B. Gondouin. Safety characteristics of solid propellants and hazards of solid rocket motors, J. Brunet. The main families and use of solid propellants, A. Davenas. Double base propellants, H. Austruy. Composite propellants, A. Davenas. Advanced energetic binder propellants, R. Couturier. Propellants for integral rocket ramjet systems, C. Perut. Thermal insulations, liners and inhibitors, J-M. Tauzia. Future of solid rocket propulsion, A. Davenas. 60 illus approx.